Strategically located just off Bandra Kurla Complex this area is home to a number of Fortune 500 companies. This highly accessible location is ideal for start-ups and multinational corporations looking for professional work-space suitable for one to 90 employees in need of immediate occupancy. The centre is a short 30-minute drive to Mumbai's Chhatrapati Shivaji International Airport (BOM) and a 20-minute drive to Lokmanya Tilak Terminus train station. Office space prices ranging from ₹310 - ₹150000 per month. Found on the southern tip of the Mumbai peninsula Nariman Point is a thriving business district and home to some of India"s most prestigious business headquarters. This business centre provides impeccable flexible office space in one of the area"s most impressive buildings. With a range of meeting rooms, private cabins and fixed and flexible office space, this 10,000 sq. ft. centre has the occupancy for 220 workstations while members are encouraged to interact and network while a technology system makes it easy to book meeting rooms, and purchase other amenities. 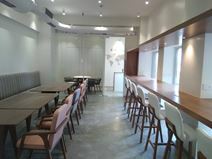 A boutique co-working space situated in Podar House, across the road from Marine Drive and the Natural Ice Cream parlor. Offering co-working space for thirty individuals as well as a private office that seats eight, and a meeting room. Open 9:30am to 7.30pm daily, come and benefit being part of this community of innovative startups and freelancers, while getting the most out of the facilities and connections this area provides. The centre located in Andheri East is very well connected by public transport. The next bus station is less then three minutes (walking distance) away from the building and it is very close to banks, hotels, shopping centers as well as different types of restaurants and cafes. It comes with an inspiring ambience and a touch of class as the centre offers entrepreneurs, business executives and corporate houses a range of offices and workspaces customised to their needs. Situated in Andheri, a residential and commercial area of the city. The very modern and fully furnished office space is spread over 1,800 sq. ft. on the 7th floor of this building. 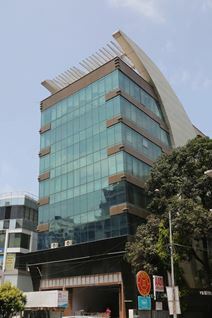 Within a mixed-use complex that has great amenities that include a central sky-let atrium, lush green areas, podium gardens, and a multi-cuisine food court, this range of flexible office space is strategically located in the heart of the western suburbs of Mumbai, an area popular with aviation, banking and TV. The centre based in the Andheri East district provides high-speed WiFi, beautiful designer furniture, smiling receptionists and in-house services which make life easier so you can always be productive. It is the perfect location for taking your business to the next level as it is close to public transportation, plenty of hotels and it ensures easy access all year long. Productivity ready space suitable for emerging companies, startups, one-man armies, travelling professionals and individuals seeking enriching coworking space. From private offices and coworking spaces to meeting and board rooms, and event and workshop space, this centre offers the capacity to grow your company physically and connect you with role models to grow it productively. Positioned 6 minutes' drive from Chhatrapati Shivaji International Airport. Nearby, there are a number of hotels, bars, shops and restaurants. From a multi-corporate environment this fantastic and flexible office space provides great views of the city and is ideally located in a prime position on the Andheri Link Road, opposite the Infinity Mall. The centre boasts amazing links to all local transport and is walking distance of a wide variety of local amenities, including banks, shopping malls and a major multiplex containing over 50 restaurants. Located in a suburban district of Mumbai, Andheri is very close to the Makhakali Caves and is a great area for both residential and commercial properties. This business centre is spread over 9,000 sq. ft., catering for 178 workstations and five meeting rooms for its tenants. The space boasts excellent access to a variety of local amenities including shopping malls, cafes and eateries as well railway stations. This is a fully furnished office suite with excellent facilities and exceptional services in a prime location. Office spaces are abundant, work areas are large, reception desk is fully staffed and the kitchen is fully equipped with refrigerator, microwave, coffee machine and filtered water machine. Housekeeping and professional security services are also available for all-round comfort. The office is centrally located on Andheri Kurla Road with excellent road access via the Western and Eastern Express Highway. A number of 5-star hotels (Leela, Hyatt, Le Meridien, ITC Grand Maratha) are located within a 1km radius. 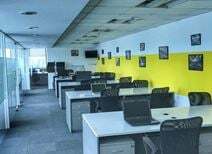 This fully furnished space is located 500m from Goregaon Station, opposite Oberoi Mall and consists of a conference room, pantry, two toilets, ten workstations, three manager cabins and an MD cabin. Spread across the ground and first floor of this commercial estate, this space is situated opposite the Oberoi Mall and provides 24-hour security and water supply. Enjoying a convenient location in the heart of Mumbais commercial district with excellent access to lifestyle conveniences, this business centre offers turnkey and affordable office accommodation with a wide range of business support services. 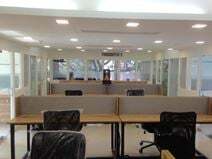 This is a unique opportunity of renting office spaces in Mumbai's business district, close to the new trading district of the city, a prime business address which will definitely enhance the image of your company. These office spaces are surrounded by numerous international leading companies and financial institutions and are well connected to the two airports of the city. Strategically housed within the prestigious Bandra Kurla Complex, this serviced office provides a high quality business location in a fashionable area. Residences of numerous celebrities can be located in Bandra, thanks to its sea-facing location and first-class infrastructure. Global companies based here include Citibank, ICICI Bank, NSE, UTI, Wockhardt and the American Consulate. Exemplary transport options via the nearby Eastern and Western Express Highway which provides direct link to the city centre and airport. Conveniently located in BKC, surrounded by banks, International consulates, hotels and developers, with cafes and restaurants plotted throughout the complex as well as gardens and recreation areas you will not feel the need to travel far for your daily needs. Prime access to transport keeps you connected and ensures your working destination is very convenient. 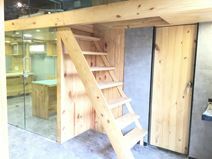 This centre offers work space for all, from independent professionals to remote teams all the way to large businesses. Personalized services, flexible payment options, an in-house cafeteria, high-quality internet and access to the on-site funzone are also provided which create the perfect environment for your business requirements. So what are you waiting for? Get in contact for a viewing today! Ideal for Mumbai’s professionals, and designed with an international standard of business in mind this centre is spread over 16 floors and exudes acute elegance of the ‘80s with classic Indian influences. Co-working, private offices, conference rooms and outdoor space all in an area of the city known for its exciting nightlife. 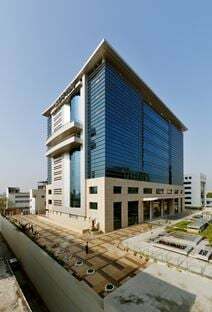 In the heart of the Central Business Financial District, on the Bandra Kurla Complex this center is a commercial building with a mixture of offices, retail and hospitality spaces. A green building with Gold LEED Certification. Opening soon - Ready to use Office Spaces, Serviced Offices and Meeting Rooms at a strategic location that is well connected. Furthermore there are a lot of different types of restaurants located in the building as well as they offer catering to varying business needs. The Mithi River is just next to the Centre and there are some Parks located in this area if you would like to go for a walk during your lunch time. Opening soon - Located in one of Mumbai's key areas the centre is well connected to public transportation with bus stops around the complex. The centre offers 24/7 access, reception services and an expansive food court as well as they have landscaped terraces and substantive annual energy savings. Perfect solution to absorb future growth of offices and commercial activities. Phone Booths, Uninterrupted WiFi and Gourmet Coffee are only some of the many amenities that the centre is offering. Step into two floors of high-energy workspaces which gives your business an ecosystem that inspires productivity, collaboration and creativity. Well connected to public transportation and the rest of the city as well as surrounded by the largest businesses and F&B outlets across the globe makes the location to something special. Diagonally opposite the (SEEPZ) Santacruz Electronics Export Processing Zone and only 3.5km from the domestic and international airports, this spacious business centre provides flexible workspace with an abundance of natural light in the heart of Mumbai. Part of a commercial / industrial hub in one of Mumbai"s largest suburban business districts this business centre provides serviced office space that is ideal for business process outsourcing units. Current tenants within the hub include BASF, HDFC Bank and Tek Enterprises. Spread over multiple floors, this co-working space provides excellent connectivity to the International Airport and allows tenants to work within a warm and contemporary environment that is close to key residential hubs. A highly conducive environment, this centre will help your business to produce highly motivated staff. All memberships are offered on flexible terms, at affordable prices and come with access to a variety of amenities. With international and domestic airports just a short drive away, and many hotels nearby, this office centre is in the main commercial district of the city, and is ideally placed for your business. The centre provides the highest quality business support and IT infrastructure in a comfortable work environment. Located between Powai and Andheri East and well connected to public transportation with a bus stop close to the centre. The centre offers conference rooms and a Breakout area to keep you clients and guests entertained. Furthermore there is a community manager at the centre if you need any assistance as well as they have a fundamental analyst to provide you support in your trading needs. Located in the well connected neighbourhood of Powai, with major transport services including railways, metro rail, bus, cabs and others. Restaurants, eateries and numerous other facilities surround this centre, making it an ideal work location to work. With a total capacity of 700+ workstations arranged as premium private cabins or within a productive collaboration space as dedicated desk and hot desk solutions, this centre harbors team work and promotes productivity. Members receive complimentary tea and coffee as well as printing credits. Have a deadline to meet? With flexible working hours available and the capacity to work through public holidays you have the ability to complete projects and deadlines with minimum stress. Parking facilities are available at an additional cost and there is a pantry offering a selection of food and beverage options at very reasonable prices combining great options together to create a great working environment for your business. Fully-furnished leased offices are available with contemporary design and modern furniture. All the furniture (desks, chairs and cabinets) have been specially designed to offer utmost comfort for tenants. It is located within close proximity to the upcoming commercial district of Bandra-Kurla Complex, where leading banks and financial institutions are based. Good road access to Mumbai city centre and the international airport. 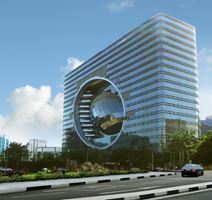 With quick connectivity to Thane and Navi-Mumbai this premium office space can house up to 60 people and is situated within one of the most prestigious buildings of BKC-Kalina. This 16th floor centre is housed within a landmark building in Cuffe Parade, an affluent area that is home to a number of high-end developments. It is also only 15 minutes from the railway station. Conveniently located in the heart of Mumbai's financial area, this superb building is surrounded by leading companies, banks, luxurious hotels, leisure facilities and a variety of amenities. The building consists of office spaces, which benefit from this prominent and attractive business location. Technologically equipped and elegantly furnished, these offices offer a professional working environment. They are located within walking distance of the two main railway stations and are easily accessible. Located at Flora Fountain these fully furnished offices are supported by a number of business services and access to meeting and conference rooms. With beautiful views of the Arabian Sea this flexible workspace is part of one of the largest business centre chains in India, strategically located in the heart of the Churchgate area. An on-site management team are available to assist with your business requirements. Opening soon. Join a lively, energetic community of like-minded individuals. Business-class printers ensure your documentation is smart and professional. Craft on draft is available, great for team socials or to wind down after a day's work. Mail and package handling is available and IT support is on hand. Phone booths are accessible, ideal for conducting quiet, private calls. Large windows offer exceptional views of the Worli Sea Link. 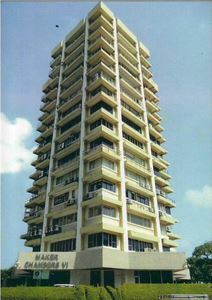 Situated on Dr. Annie Besant Road, Worli. In the surrounding area there are numerous, coffee shops, convenience stores, restaurants, and banks. The closest bus stop is located at the Passport Office. For those who drive, there is onsite parking available. Just announced - The Centre is based in a prime location and has convenient access to public transportation nearby. For a beautiful office space that puts you in the center of the action, this co-working space near Bandra-Worli Sea Link offers a creative oasis for entrepreneurs and established enterprises alike. Delivering jaw-dropping views of the Worli Sea Link and surrounded by a volume of the city’s best restaurants, bars, and galleries, there’s no shortage of options when it comes time to unwind. Surrounded by a host of local and international companies this landmark building is part of a Shiv Sagar Estate business park and provides a variety of flexible and full-equipped offices. Less than 15km from both Mumbai's domestic and international airports this business centre is strategically situated just by the IFC road. Cutting edge technology is employed throughout the building to empower its occupants while "Smart" cards grant and restrict access. The building is surrounded by a diverse range of retail outlets as well as multiple luxury hotels - rail connections are also close by. Part of a business park, this centre is designed to provide a "home from home" for UK business looking to set up or expand in India. It is ideally located less than 10km from both domestic and international airports. The centre in the prime commercial area which has a full range of facilities and services is very well connected as it is just minutes away from railway stations for access to Central and Western suburbs. It comes across with its world-class décor as well as it is close to the water that you are able to have a nice walk next to Back Bay. Furthermore they offer pantry services, safe deposit lockers, a round the clock security and a professional staff. With superb security, tasteful décor, high-quality building management and a strategic location in Mumbai's new Central Business District, this state-of-the-art serviced office centre is perfect for your business. Close to hotels, as well as excellent transport links. Work the way you want in this centre which offers a range of workspace option from the standard open and private desks, to a library space, phone booths and lounges. With 24/7 accessibility, tech infrastructure and acoustic design, this centre is not only architecturally designed but balanced, stylish and functional. Situated in BKC, there are a variety of amenities nearby, and central Mumbai is only located a ten minute drive away. A five-minute walk from the D.N. Nagar Metro Station this peaceful location is located outside of the more congested parts of Andheri West. The brand new building that this fully furnished office is within provides a grand setting for your business. Situated in the Thane MMR area of Mumbai, this centre provides fully-equipped, furnished and well-orientated office space. The center offers clients a comprehensive list of business services and facilities - three separate meeting rooms are available to hire on a pay-per-use basis and clients have access to on-site parking, postal handling, copy and printing facilities and a helpful support staff are on hand to answer and forward calls. With the Victoria Terminus just a short walk from the space this business centre is located within a Grade II listed building that is conveniently located in South Mumbai. Surrounded by a multitude of restaurants and local eateries. 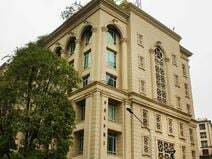 Situated in Powai, the home to the "Indian Institute of Technology" in a suburban neighbourhood, this business centre is spread over an area of 8,250 sq. ft. and provides 243 workstation in total along with a range of meeting rooms, private cabins and conferencing facilities. Further to comprehensive business support services and facilities, the space is also within close proximity to both rail and bus services. Opening soon - The workspace is located close to the Hiranandani joggers Park which is just a five minute walk away from the building. The next bus station is less then a five minute walk away which makes it easy to reach your new workspace. Furthermore here are some nice restaurants in this area if you would like to go for nice food in your lunch time. During work you can use the micro-roasted coffee bar and fresh fruit water to start right in the day. Offering flexible and fully-equipped offices this second floor centre at Hiranandani Gardens in Powai is strategically located just 5km from the international airport and is surrounded by major domestic and international corporations. Situated in the Hiranandani Estate and just 30 minutes from Thane railway station, these serviced offices have been devised to promote business growth. Well-decorated entrances help to provide a quality ambiance that is sure to impress your clients. This brand new leased office is situated within a business park which also houses other major corporations. There is an array of amenities in the immediate vicinity - world-class educational institutions, hotels, restaurants, retail complexes, banks and hospitals. The exact location is in the charming Powai area which is renowned for its eclectic mixture of residential, commercial and entertainment. 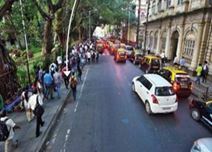 Accessibility is not an issue as there are good road connection between Powai and Mumbai. This centre offers private office and co-working solutions. Customizable and flexible arrangements are available. Meeting rooms are well-equipped with A/V equipment and conference facilities. Telephone answering and mail handling is included. Ultra-modern IT infrastructure enables your business to run smoothly and efficiently. Situated on the 5th floor of a modern building. The space is surrounded by many high-end hotels such as the Hyatt Regency, Hilton and ITC. Airport Road metro station is a 16 minute walk from the centre. Within a 10 minute stroll of the space there are a selection of bars and restaurants. Opening In May - This trendy office space combines elegant façade with superior facilities to create a first-class business location. Executive cabins and work desks have been carefully selected and professionally installed, offering maximum comfort for tenants. Meeting rooms are aplenty and all of them are equipped with the latest IT equipments and video-conferencing facilities. Additional features include air-conditioning and 24-hour security. 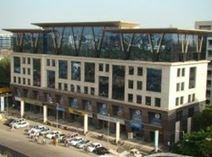 The office is situated close to Prime Mall and Irla Market, providing easy road access to Western Express Highway and Santacruz Domestic Airport. Opening in November. A beautifully appointed office space. Here, you will find co-working and private office options. Breakout areas feature stylish relaxed seating. There is plenty of greenery throughout the centre. Access your space 24/7 and enjoy flexible terms. High speed WiFi keep your business running quickly. 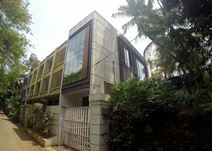 Situated on J.P Road, opposite Four Bungalows Market. It is just a three minute walk to D N Nagar metro station, which serves Line 1. For those who drive to work, secure private parking is available. Additionally, there are several bus stops nearby. In the vicinity, there are a number of cafes, bars and restaurants to choose from. It is a 19 drive to Chhatrapati Shivaji International Airport. Situated in the affluent suburb of Juhu, popular with film and media companies, this business centre provides flexible and fully-equipped office space just 1km from Juhu Beach and 6.5km from the airport. 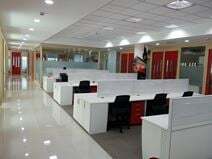 This fully furnished office is ideal for up to four people and is situated in Bandra Kurla Complex. This is a modern office that is close to the train station, 15 to 20 minutes from the domestic airport and around 40 minutes to the international airport. 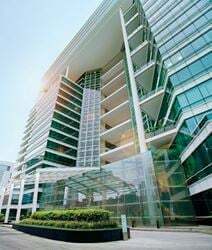 Offices to let in the Santacruz area of Mumbai - an integrated complex consisting serviced apartments, exhibition and convention centre, shopping mall and the luxurious 5-star Grand Hyatt Hotel. The office is bright, modern and offers spacious meeting/conference rooms in an uncluttered arrangement. Located just off the Western Express Highway and Santacruz-Chembur Link Road, it offers easy road access for commuters. 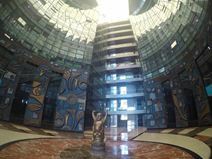 The office is also close by Dhirubhai Ambani International School and The American School, two of the city's best-known international schools. This independent 500 sq. ft. unit is furnished to seat between eight and 10 people and has access to an eight-seater meeting room. Situated near Andheri East station on the western express highway. Within easy reach of various showrooms and commercial complexes and benefitting from a convenient LBS Road location, these fully furnished offices are ready-to-use and are ideal for start-ups and outsourced operating units. Ideal for outsourced operating units or business start-ups and conveniently located on LBS Road, these fully serviced and furnished offices are well-equipped and ready-to-use. Also on-hand are a team of professional business support staff and meeting rooms to hire upon request. With a central, prestigious location in the heart of Mumbai"s financial area – at Phoenix Market City. A choice of serviced offices and coworking is available making it the ideal location to grow your business. Amenities in this space include high speed internet, printing facilities, private phone booths and conference rooms. Meeting spaces are customised with unique wallpapers and marble tables. There are regular in-house professional and social events, giving you the chance to maximise your network and business contacts. The centre is easily accessed by public transport links, and has parking available. This sought-after IT Park is strategically located off Link Road, a major road route. The well-equipped offices are fully serviced and furnished to a high standard, while meeting rooms are available on request and a team of friendly and professional, multi-lingual business support staff are on-hand when needed. Clients of the space benefit from excellent access to public transport as well as on-site parking. Situated in a well-known and established premium retail and residential area this Corinthian, Mumbai business centre offers fully furnished and equipped executive suites, private offices and shared options as well as access to private meeting rooms and kitchen areas. With panoramic views of the city and located in the heart of Lower Parel this modern co-working workspace provides open and contemporary office accommodation ideal for start-ups, SMEs, entrepreneurs and freelancers. In the middle of Mumbai City with views of the city and the Arabian Sea these luxury offices offer a host of local amenities including many local cafes and restaurants. A variety of business services including videoconferencing facilities and meeting rooms are provided as is high-quality technology throughout. The office space is within close proximity to public transport and the nearest underground station is a short 5-minute walk away. With spectacular views of the Lower Parel skyline and located in the heart of the commercial district, this Class A business centre offers attractive office space in Kamala Mills. Meeting rooms are also available upon request while a team of professional and friendly staff are on-hand to assist your business. Opening soon. A modern co-working centre. Lockers are available to store your belongings. Potted plants and greenery can be found throughout. Large windows ensure plenty of natural light reaches the space. High speed Internet is accessible throughout. Regular events are held. Meeting rooms are well-furnished with large TV screens. Situated on M G Road in Ballard Estate. Chhatrapati Shivaji Terminus is an 11 minute walk, Churchgate station is 22 minutes' away and the nearest bus stop is just two minutes. In the surrounding area, there are many cafes, bars and restaurants. Also, there are several hotels close-by. A fully-furnished, sleek office space. The interior is modern with wooden fixtures and flooring. There is a roomy reception area where you can greet your clients. Reception staff are on hand to help with small administrative tasks such as copying, mail handling and telephone answering. Located in a Grade A building on the 6th floor. Positioned in the heart of the telecoms, technology and IT sectors. In the surrounding area, there are several well-established companies from these industries. Take a 20 minute stroll and you will find several restaurants. There is a bus stop five minutes' walk from the space. Situated in Navi, Mumbai, this mixed-use development is in an area that is a hub for Tech Parks. The surrounding area has seen significant infrastructure, and real estate development and is popular for both local and international companies. Situated in front of Churchgate station in the heart of the business hub, this center is located in a heritage building with 80 workstations across both fixed and flexible options and private cabins. The centre offers clients a comprehensive list of facilities and conference rooms and meeting pods are available for use - administrative support is also provided to assist you with telephone answering and day-to-day activities. Feel the buzz of energy when you enter this co-working space. Entrepreneurs’ have been known to enter with big dreams and leave with a grin of success - so what are you waiting for? Aim for the stars in this exciting, vibrant, and energized space that is full of opportunities! Whether you are a passionate blogger or simply a freelancer, this space knows just what you need and will provide you with a space that you will love. Located adjacent to MIDC Central Road, Andheri East, providing residents with access to restaurants, bars, cafes, hotels, banks and ATMs, and hospitals. Gain access to this space via the Western Express Highway, bus and underground all which create great accessibility for all traveller types. Situate in Spectrum Tower, this centre spans four floors, creating a collaborative and contemporary coworking space that is suitable for all company types from creatives to lean startups up to established corporations. In this centre you will find strategically designed workspaces, from beautiful offices to generous meeting and conference rooms, and private phone booths. Well connected to buses and local to car park facilities, this centre is also close to food and dining venues, financial institutes, recreational locations, international companies. Directly located at Mumbai International Airport this professional business centre is ideal for the travelling professional in need of fully furnished private offices, shared workspace or access to meeting rooms. As well as direct access to the airport, transport links to the whole city is right on your doorstep. Close to the Elpiston Railway Station, this fully furnished 16,000 sq. ft. co-working office space provides a modern and collaborative working environment along with access to meeting and conference rooms from a brand new building opposite Kamala Mills. With a variety of dedicated workspaces available; clients can chose the space size which suits their business the best. Meeting rooms with conference facilities, 24-hour access and printing credits are all available, ensuring that tenants benefit greatly from working in this centre. On-site showers, fresh fruit water, ultra-modern facilities and cuddled amidst bounty of nature provides a comfortable setting for any professional business person and their team. The minimalistic design elements are both simple yet classy. Situated one kilometre from the Eastern Express Highway and in very close proximity of Mulund and Thane Stations, this centre is easily accessed for those who choose to commute using public transport or car. Also there is ample parking spaces for tenants. The centre is located in Wagle Industrial Estate, one of Mumbai's largest industrial estate, ensuring that clients have everything they need on their doorstep. This serviced office centre offer a variety of support services to help your business grow. Set in an eye-catching modern building which offers excellent connectivity, along with a good range of local shops and eateries, this is a great choice for your business. Close to airports. 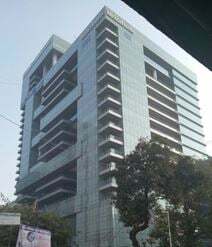 With office space solutions starting from just one person this well maintained six-storey building has a glass façade and a prime location on the New Link Road in Andheri West. The tall ceilings and luscious carpet of this space add richness and spaciousness to the ambience of the working area. All the desks are equipped with modular switchboards to not just give the ease of connecting chargers but also hide the mess of wires from desks. There are night life options within a 3km radius as well as access to lounges for late night meetings. Local to the sea side for late night walks. Central to an abundance of cuisine of multiple options of international quality as well as providing easy accessibility to international food brands like Subway, McDonald and the like with one call delivery. Opening September - Subtle modern touches can be found in this thoughtfully designed, spacious office. Tailor-made to fit your business need. You will be supported by a global network, aiming to help you thrive professionally and personally, and connected to like-minded professionals who will open your business to new opportunities. This space will provide you with access to their global office network and is fitted out with your everyday business needs including wifi, comfort cooling, printing and copying facilities, and IT support. Located at the beginning of the Bandra Kurla complex, in the heart of the financial capital, this address is synonymous with premium and luxury in the commercial real estate market of Mumbai. With a luxury mall under development nearby that houses a one-of-a-kind open-air cinema. Once completed, there will also be a luxurious hotel creating the best development in the city. Conveniently located in the new business district of Mumbai, one of the most dynamic and renowned areas of the city, this business centre offers offices and open-plan spaces of various size to accommodate needs of big and small companies. Surrounded by numerous companies, institutions and amenities, and close to the motorway junction, this is an ideal location to run a successful business. Located in a dynamic area which is rapidly growing and developing, this modern business centre enjoys an exclusive location in Mumbai, ideal to run a successful business. The centre is surrounded by international leading companies and a variety of amenities, and is excellently served by public transport, close to the motorway network and well connected to the airport and the railway station. This centre, located in the heart of Mumbai's Powai district, offers fantastic amenities in a fully-furnished, modern location. Powai as a destination poses excellent connectivity to all parts of the city of Mumbai. As a residential suburb, it is self-sustaining and has a bustling social infrastructure along with the expanse of a well-planned township. Spacious, comfortable breakout areas provide an area for you and your staff to relax and host informal meetings, including one-to-ones, team catch-ups and much more. This modern and unique office space is ideal for a great range of clients of varied sizing and from different industries. From large and high-energy workspaces perfect for collaboration to virtual office options to private enclosures for focused teamwork; this centre is the answer to many business people's needs. Event space, meeting rooms, lounge areas as well as private phone booths ensures that in every situation, al clients can feel comfortable in their work environment. Business class printers, offices supplies and high-speed WiFi ensures that tenants can work professionally and effectively. This centre has the ideal location in which clients can benefit from. Not only is there a variety of train stations situated very near to the building, there is a fitness centre, many restaurants, a food court, the Four Seasons Hotel, the high-energy recreation and entertainment centre, Smaaash, all in close proximity. The building also overlooks Century Mills and hosts some of the largest names in business. This new center offers contemporary, stylish, comfortable office space solutions to suit varied needs. The centre is located in the very center of Lower Parel's main business district and in close proximity to various business houses and corporate offices. The location means having quick and easy access to numerous restaurants, bars, cafes as well as one of the best movies theatre, therefore ensuring you are never too far from the action. The centre which is located in the heart of South Mumbai is minutes away (walking distance) from railways stations for easy access to Central and Western suburbs and it is about an hour away from both the international and domestic airports. It is over a hundred and ten years old and remarkably restored to its original as well as the building is close to Banks, Hotels, Restaurants, Museum and shopping centers. Located in the heart of South Mumbai the centre offers you 50+ combination of premium, fixed and flexible co-working space which comes along with a lot of amenities. It is the best location to boast about and it has the right mix of corporate and non-corporate ambience that you are looking for. Opening soon - The centre offers high-speed WiFi, meeting and conference rooms, a cafe, chill zone, and games area as well as event space where they host everything from networking events, knowledge-building seminars, to music nights and stand-up comedy. Well connected in Andheri East about six km away from the famous Sanjay Gandhi National Park and the Snow World Mumbai as the next bus stop is only a two minute walk away from the centre. 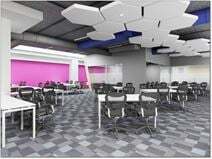 Integrated working meets space design in the most astonishing way at this collaborative coworking hub, strategically located in Thane West and surrounded by businesses across a wide range of industries. Highlights include hammocks and a game room on-site. This signature building just 2km from Thane Station provides modern flexible office space with panoramic lake views. As well as spacious individual desk space there are also private cabins, open cubicles, meeting and conference rooms available. 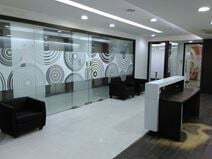 Providing excellent connectivity to the western suburbs, central suburbs and Navi Mumbai these independent, flexible, customizable, fully furnished offices are in the heart of Thane"s CBD and with multiple configurations, offices can house up to 800 employees. This fresh office space boasts centralised air conditioning and high speed internet, plus the on-site office manager and house keeping staff make this space is ideal for those wanting to focus on the business at hand. This centre has the best connectivity for major railway stations, expressways, outbound trains, buses, and highways. Borivali Borivali Station is only two minutes walking distance and the centre is in very close proximity to Western Express Highway and Link Road. They offer a perfect solution for local and overseas companies looking for flexible and fully-equipped offices with comprehensive services. 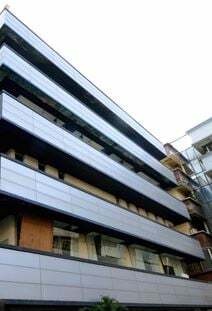 The building is directly connected to the Western Express Highway through a flyover and is close to Malad and Goregaon local train stations. With an exceptionally prestigious address in Mumbai, this centre offers over a million square feet of the highest quality workspace. This is a hi-tech, modern, fully equipped facility, with a full host of business amenities to help your business succeed. Situated in the heart of the Mumbai Metropolitan Area these fully furnished and serviced offices are ideal for both single person or large team requirements. The area is well connected with public transport links - there are six major railway stations within a 15-minute drive and several bus routes operate within close proximity to the space. Chhatrapati Shivaji International Airport (BOM) is under one hour away. 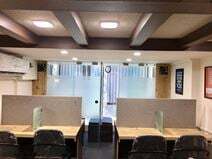 Conveniently located on the western border of Mumbai, this office to let is easily accessed by various modes of public transports including buses, trains and private vehicles. 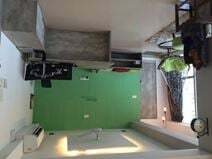 The office is about 1km from Goregaon train station and 10km from the airport. The surrounding area is a mixture of commercial and residential development, highlighted by the presence of big names such as MTNL and Grand Sarovar Premiere Hotel. There are plenty of shopping and dining options in the vicinity. Opening soon. Step into this work-space and find well-thought out collaborative spaces, spacious meeting rooms and stylish private offices. Should you run or cycle to work there are showers available to freshen up. Feel like a lunchtime workout? Head to the onsite fitness centre! After work, why not head to the arcade room and challenge your co-worker to a game or two. 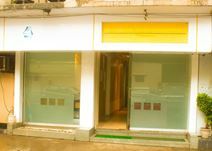 Situated on Sag Baug Road, off Andheri-Kurla Road. The centre is well-connected by public transport. It is a 10 minute walk to Marol Metro Station, and the same to the closest bus stop. Onsite parking is available for those who drive to work. In the vicinity, there are bars, restaurants, banks, hotels and fast-food joints. 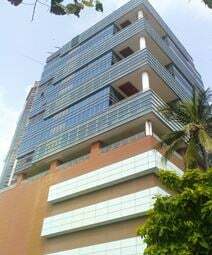 Professional and executive office space is available within this Grade A building in the Kaledonia area of Mumbai, just 3km from the domestic and international airport. Tenants can choose from fully furnished executive suites and open-plan office space depending on their requirements. Beautifully designed with Italian style interior and pine constructs this newly opened serviced office space is located in the Ansa Industrial Estate and surrounded by various businesses, places to eat and a range of shopping outlets. Within a 10-minute walk of the Mumbai Metro I line this first floor office space provides comfortable workstations and on-site mobile technology support. Strategically located in the Urmi Corporate Park and surrounded by many established companies, this 16,000 sq. ft. co-working facility is a short drive from the Mithi River and has great transport links to make the rest of Mumbai easily accessible. It's a nice place close to the John Bekar bus station with an antiquated structure with a mixed warehouse setting. You can start your day right with free tea or coffee. At lunch time you can go for some nice food in the restaurants placed in this area or have a nice walk around the Pawai Lake which is about ten minutes away with public transport. Boasting 300 workstations, this centre which offers flexible co-working and private office solutions, is a prime space for collaborating workers. With a collaboration zone housing a range meeting lounges and pods which work to provide you with an activity based ambiance that fosters productivity. In just a short drive you can find yourself at both the domestic and international airports as well as a variety of entertainment and leisure hubs, and fine luxury hotels. Easily accessed via Saki Naka metro station, which connects you to South Mumbai as well as the western and central suburbs, and Navi Mumbai. Prominently situated on the Western Express Highway this stand alone building is well connected to the rest of Mumbai and provides customisable space for up to 70 people, ideal for start-ups and small companies. In the heart of Vashi you will find this centre located in one of the top malls in the city of Raghuleela. Vashi Railway station, located next door, makes this centre accessible to all parts of Mumbai. Housing brands like Audi, Central, Big Bazaar, Inox etc. the mall provides a variety of entertainment and shopping opportunities. Also within close proximity to Vashi exhibition and convention centres, Inorbit mall, Four-point Sheraton and Tunga hotel, providing you with everything you or you associates may need while visiting this space. Dedicated and hot desk options are on offer in this centre, couples with high end amenities like high speed internet, video projection, video conferencing and laser printing, where members receive complimentary tea, coffee and printing services this centre is a great option for your business to call home. With additional services such as parking provided on request at an additional cost and a cafe on-site with a variety of food and beverages on sale for a reasonable price you'll be perfectly catered for here. Centrally located in Mumbai, within a fast developing business district, this impressive building offers stylish offices and meeting rooms. Equipped with state-of-the-art technology, CCTV monitoring and advanced security systems, these offices offer an efficient working environment, provided with videoconferencing facilities, air-conditioning, lounge areas and supported by a professional team offering a wide range of services. The building is located in the vicinity of cafés, restaurants, hotels and a variety of other amenities. It benefits from excellent transport connections and is located within walking distance of the railway station. With a strategic position offering easy access to the Western and Eastern Express Highways, this centre is close to many quality hotels, restaurants and more. The centre offers very high quality and efficient space in a highly desirable Mumbai address. This business centre provides turnkey offices with high-performance IT, an in-built aquarium, and water features and plants to create a charming as well as efficient corporate setting. It is well located in terms of access to all Mumbai has to offer. Spread across 6,900 sq. 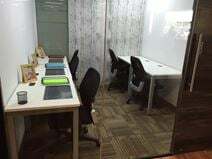 ft. this co-working space (with private cabins) has a capacity of 213 workstation and is situated in the heart of Mumbai"s central business hub, very close to Lower Parel Station. Housed within a premium A grade building in the heart of Lower Parel and within walking distance of Elphinstone Station this business centre offers convenient and well furnished workspace ideal for freelancers and entrepreneurs, start-ups and small and medium businesses alike. With offices available to seat anywhere from one to 300 people, this space is ideal for all types of businesses. Located in the heart of Mumbai's commercial hub, these offices are surrounded by a number of social facilities like a cafeteria and other amenities that provide a constructive work environment. Connected to 4 railway stations, Restaurants, Pubs, Fitness Clubs, Banks, Shopping malls within the vicinity, easy access by roads. This space hums with technological innovation - four floors of beautifully designed offices and lounge space alike. Benefit from 24-hour access, complimentary beverages, private phone booths, comfortable conference rooms, plus the all-inclusive pricing and flexible terms that make this workspace truly perfect. Directly opposite the Marol Naka Metro Station, you're centrally located in the Marol district of Mumbai, offering transportation links across the city to help make your daily commute a walk in the park. Based in Maharashtra Mumbai the workspace is a co-working space for aspiring entrepreneurs and founders. It is close to the public transportation and they offer additional facilities at fixed charges. 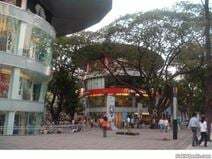 Surrounded by many international restaurants, bars and hotels as well as parks and shopping malls. 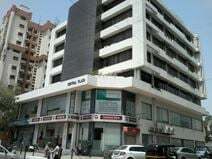 With options to accommodate companies with 1 to 200 employees this building provides a great location in the heart of Andheri East for anyone looking for a world-class corporate office. Fully furnished, conventional lease and serviced options available. Beautiful views across the whole of Ghatkopar are on offer from these 6th floor beautifully spacious and fully furnished offices. Within touching distance of the Ghatkopar Metro Station and the Central Line Railway Station the centre also provides a meeting room that is suitable for up to 100 people. At the heart of Mumbai"s media and advertising industry this Lokhandwala business centre provides state-of-the-art office space that is spacious and fully equipped. The centre has a total capacity for 246 workstations and five meeting rooms. This work space in Mumbai provides a friendly atmosphere that allows you to think, grow, and innovate at your own pace. With office space to suit your every need from flexible virtual memberships to dedicated share space and private offices. The space provides the opportunity to share knowledge, network, have fun and share and add value to the community. Located in Supreme Business Park, this centre is well connected by all modes of transport and local to restaurants, cafes and bars. Designed for convenience and elegance, this office building boasts a skilfully-crafted landscape, natural surrounds and contemporary furniture. 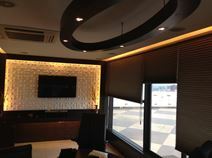 There is a fully equipped boardroom, numerous meeting rooms and an executive lounge. Superb location in Bandra-Kurla, Mumbai's new and upcoming financial district which is home to multi-national corporations, banks, financial institutions, international law firms and government offices. Offering fully furnished executive suites and shared office space this business centre in one of Mumbai"s Corporate Parks in the eastern suburbs provides a corporate and professional environment from which to work. Meeting room and conference rooms are also available as required. A contemporary, trendy office space. Quirky fixtures such as the enclosed booths create a cosy, private work-space. There are bursts of colour and stylish touches throughout. Large meeting rooms are well-equipped with conference facilities. The open co-working areas contribute to the collaborative feel. A convenient aspect of this space is the 24 hour access and security. Situated in Wagle Industrial Estate, and surrounded by BPO and IT companies. It is a 50 minute drive to Chatrapati Shivaji International Airport, perfect for international business travellers. Hop on a bus and you will arrive at Mulund Railway Station after 20 minutes. Within close proximity to the space, there are a number of shops and restaurants. Perfect place for freelancers and solopreneuers as well as start-ups. It's a fully functional plug & play co-working space to increase your network with people from different fields which could give you innovative ideas and fresh perspective. The workspace is very well connected to road, rail and metro as it is based next to the Western Express Highway and train and metro stations within walking distance. Located in the Western Suburb of Mumbai in one of the most Premium Commercial Office and they are providing shared office space with a Great Ecosystem to grow your Business heights. Furthermore they aim to reach a high-quality Business Environment at a fraction of the cost of Corporate Business Centres. It is close to close the Western Express Highway and well connected to public transportation with 2 train stations close to the centre. The tall ceilings and luscious carpet of this space add richness and spaciousness to the ambiance of the working area. All the desks are equipped with modular switchboards to not just give the ease of connecting chargers but also hide the mess of wires from desks. There are various night life options within a 3km radius as well as access to lounges for late night meetings. Local to the sea side for late night walks. Central to an abundance of cuisine of multiple options of international quality as well as providing easy accessibility to international food brands like Subway, McDonald and the like with one call delivery.